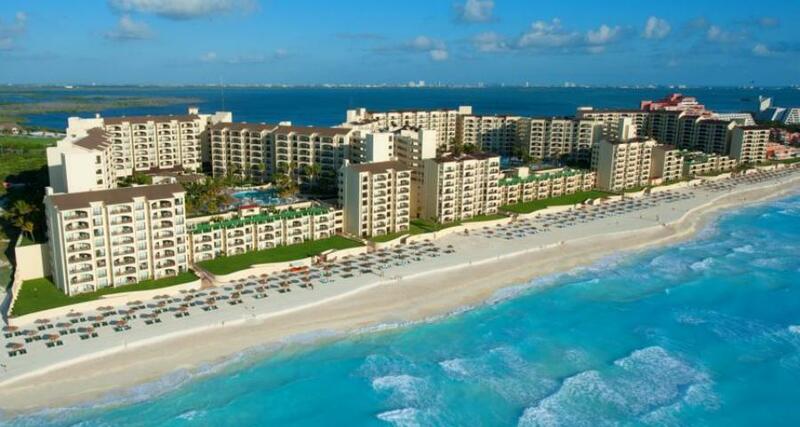 The Royal Islander An All Suites Resort is a 4* beachfront hotel located in Cancun-Hotel Zone Caribbean Sea, Mexico. It features 179 rooms and swimming pools. Enjoy a wonderful stay on Mexico's Caribbean coast when you choose to spend a dream vacation at The Royal Islander, a fantastic resort in Cancun. Located in the hotel zone, right by the beach, this hotel is ideal for an unforgettable experience with friends, your family, or your partner. The Royal Islander An All Suites Resort has different categories of rooms available, so you can pick the one that best caters to your travel needs. On the premises you'll also find charming outdoor pools, restaurants, and bars, as well as a tennis court, a volleyball court, and parking for your convenience. While staying here you can also make the most of the facilities available at sister hotels in the city; these include a spa, a beauty salon, and a gym. At check-in time an official photo ID and credit card (MasterCard, Visa, AMEX) are required, or a cash deposit for additional charges. At least one of the guests checking into each suite must be older than 25 years of age, and be responsible for the other occupants.